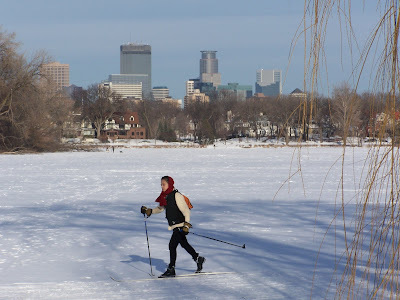 If you live any where near a lake in Minneapolis, chances are you might take up a winter sport. A big sport here in the winter is cross county skiing. In a big city, finding the space could be hard, but if you live on Lake Calhoun, as pictured here, you can have miles of track available to you just a few steps from your door. The scenery is quite nice too as you trek along!